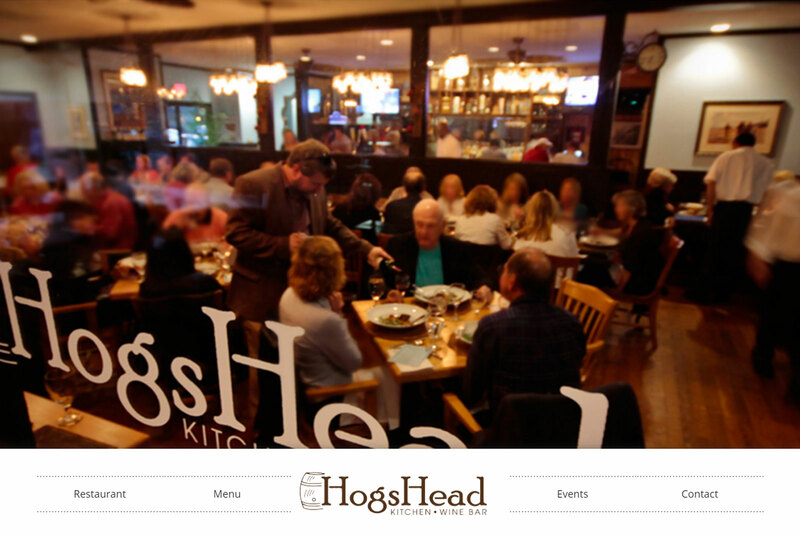 Hogs Head Kitchen & Wine Bar is a wonderful little restaurant in Bluffton, SC. The charm of the atmosphere, coupled with the incredible work and artistry of Chef John Pashak made creating their website a simple delight. Due to time and budget constraints, this project was completed using a prebuilt template (though you wouldn't know it just by looking). Using a template allowed us to focus on the imagery and language in a more artistic way than usual. The template also allowed us to launch the site in about half of the time it normally takes to create a website. This is perfect for our clients who understand the importance of great design, but are also looking for a more economical approach. The Ken Burns style slide show on the landing page features the gorgeous photography of local photographer Chris Haro. 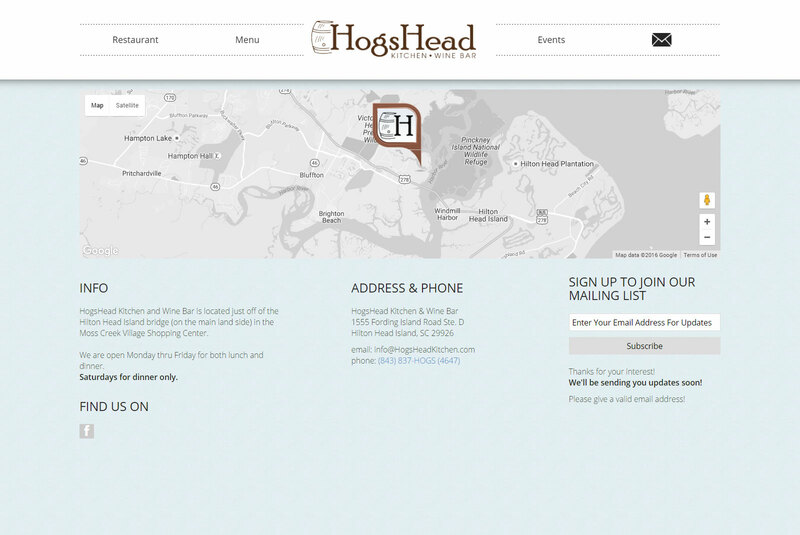 It is designed to quickly and elegantly communicate the type of Lowcountry fine dining experience you can expect at Hogs Head. This one stop shop page places everything the user needs right at their finger tips. This is designed to make sure visitors don't get lost in subpage after subpage, but rather keep all of the information available at the top level. 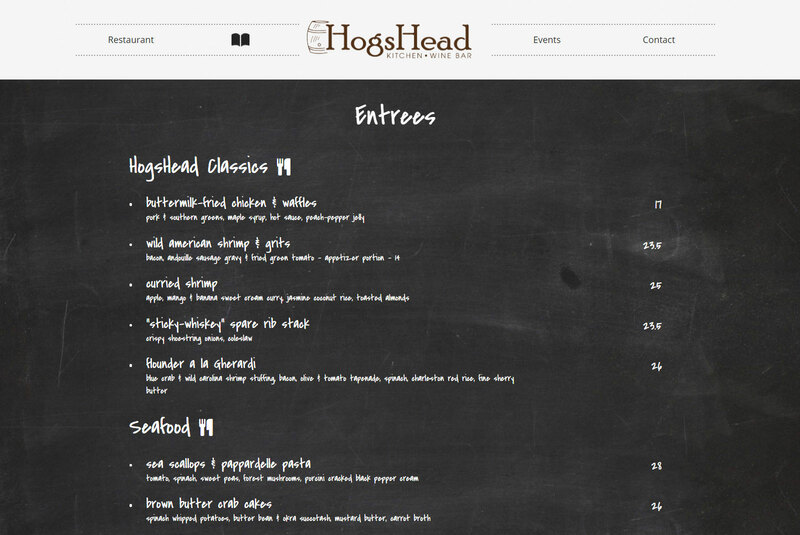 The menu pages were designed to reflect the esthetic of HogsHead, and also simply show off the dishes that make Hogs Head a local favorite. 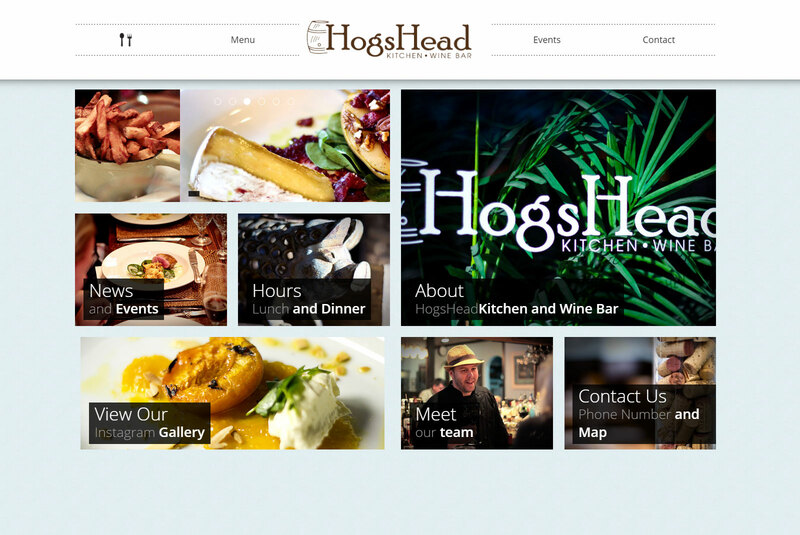 Another simple page to help visitors find the restaurant, sign up for a newsletter, and get in contact with the lovely people of Hogs Head.